If you’re looking for the best place to have your BMW maintenance completed near Berkeley, go to the place with the same initials as your vehicle. Berkeley Motor Works in Albany, CA is near your Berkeley home and offers the BMW service you need and can trust to have your vehicle taken care of the right way. Every BMW specialist at Berkeley Motor Works has been specially trained and certified to work on BMW models. This specialized training ensures your BMW vehicle will be serviced and maintained the right way every time you bring it in. The BMW service provided by Berkeley Motor Works gives you the confidence you need to drive your car the way it was intended. The BMW specialists in this service location in Albany, CA know the fun and enjoyment you want to have in your athletic sport luxury car. 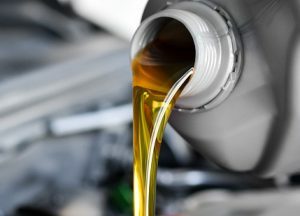 Because of this they will provide you with the BMW maintenance you need in the Berkeley area to ensure you can enjoy driving your car in an exciting way on the roads in the area around you. Bring your BMW to Berkeley Motor Works for the service you need. Every BMW specialist at Berkeley Motor Works in Albany, CA is put through a rigorous training program to make sure they understand what a BMW maintenance program needs to include. This training ensures the BMW you drive in the Berkeley area will be right for you to enjoy the ride. Come in and see the team at Berkeley Motor Works and create the BMW service program that’s right for your vehicle. This team in Albany is the right team for you to enjoy the ride and be able to drive the way you want on the California roads. Come in to Berkeley Motor Works today for BMW repair, we are available to help you!